Shakthan Thampuran Palace also known as Vadakkekara Palace, was reconstructed in Kerala-Dutch style in 1795 by Ramavarma Thampuran of the erstwhile Princely State of Cochin. It is preserved by Archaeological Department. The palace was converted into a museum in 2005 by the State. 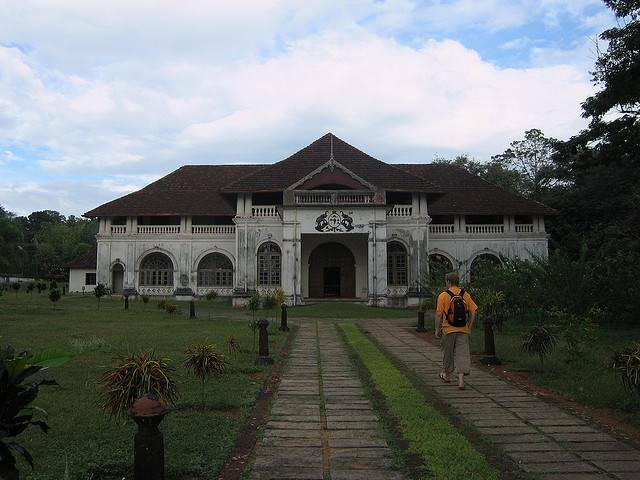 The Vadakkekara Palace is a two-storeyed building and is built in the traditional Kerala style Nālukettu. High roofs, extra thick walls, spacious rooms and floors paved with finely smoothened Italian marbles are some of the structural specialities of this palace. The museum is divided into several galleries. The Bronze Gallery displays bronze statues belonging to the period between the 12th and the 18th centuries. Sculpture gallery has granite statues from the 9th century to the 17th century. Numismatics Gallery systematically displays ancient coins, which were in circulation in the former province of Kochi and neighbouring kingdoms. History gallery depicts the milestones of the Kochi dynasty. Epigraphy Gallery showcases the genesis and evolution of ancient writings. Other galleries of interest at the palace include, a Gallery for Household Utensils made of bronze and copper, used by the rulers of Kochi; and a Megalithic Gallery exhibiting remains of the great stone age.